This is primarily a concise source of information for anaesthesiology trainees, but will also be useful to anyone concerned with anaesthetic care. It is easy to read and provides essential and comprehensive coverage, both theoretical and practical, of the basics of the subject. 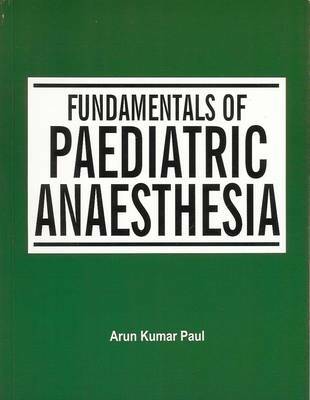 Most books on paediatric anaesthesia tend to be weighty, expensive volumes which go into far too much detail for the average student. Dr. Paul's book provides a far more succinct and user friendly resource for the reader. It contains 23 chapters, the last of which deals with regional anaesthesia, which has become a common means of treatment for infants and children. Fully up to date with information on the latest drugs in use, this book will prove to be a very useful teaching aid and reference work for students of anaesthesia and practitioners of anaesthetic care.